Sunset Cruises is owned and operated by Captain R.S. Potts. 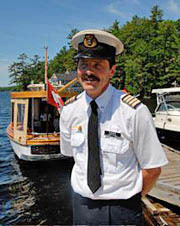 Captain Randy Potts has a long association with Muskoka and boats. 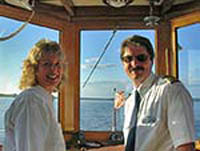 Born and raised in Muskoka, on the water for over 40 years, and a licensed captain for over 30 years. Sunset Cruises was formed to enable passengers looking for an alternative to the larger ships, to enjoy cruising aboard the Peerless II & Idyllwood. 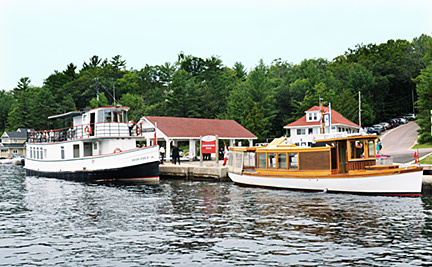 Captain Potts, will show you Muskoka scenery accessible only by our smaller ships. 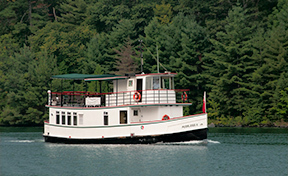 A cruise aboard the Peerless II or the Idyllwood could be described as elegant, intimate, informative, historical, and enjoyable. Sunset Cruises, we go where the large boats don't.